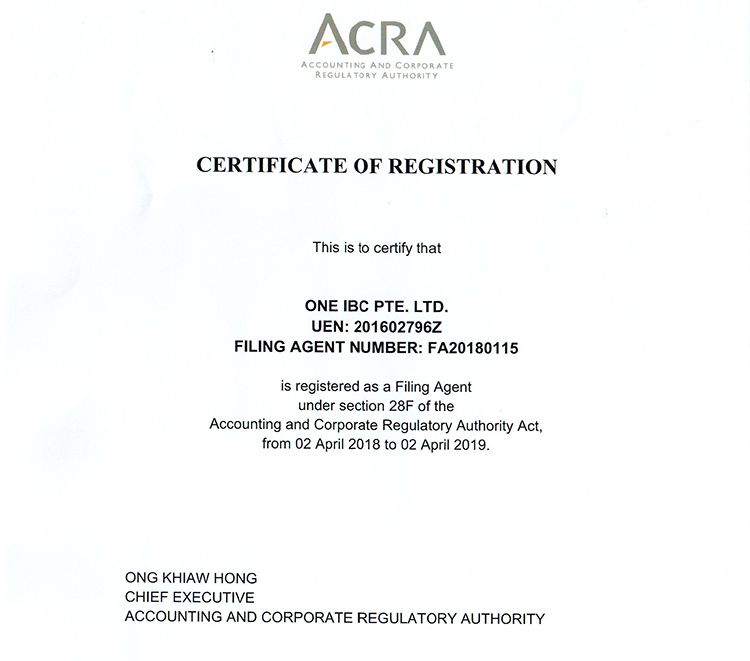 We are pleased to inform all valued customers and partners that we holding a full official license for Corporate Service Provider in Singapore licensed by the local Authority Singapore (ACRA: Accounting and Corporate Regulatory Authority). Our headquarter and the license in the centre of Singapore. This is proof that we have the strength and expand our network in one of the tops of choice for businesses as well as satisfy and comply with the regulatory registration of the local authority in Singapore. We are thus in a position to the full array of corporate services the clients worldwide would require. As a Corporate Service Provider, our professional expertises serve clients undertake company incorporation, post-incorporation services. We also provide professional corporate services comply with the legislation and regulatory, financial reporting, auditing, taxation for companies. We are truly proud that have full legal and available facility and resources to ensure clients receive our services, when they set up company in Singapore - one of the financial and economic hubs in the world. One IBC Pte. Ltd is committed to our clients and partners, this announcement demonstrates our efforts for supplying innovative product and service development and sustainable business growth that commitment. We look forward to continuing growth in Singapore and globally. One IBC Pte. Ltd offers a full list of corporate services. If you want to have a consultant or any question about your situation or our services, feel free to contact us. We are ready to support you quickly. Thanks for your regardings in this official information. We are fully committed to helping our clients reach the higher potential to develop and grow their business.